In the fall of 2012, Chameleon Concessions rolled out one sweet food truck. Well, maybe it was more savory. The AZ Canteen food truck was built for celebrity chef Andrew Zimmern of Bizarre Foods fame. “After eating at hundreds of food trucks and street stalls around the world, and after creating several airport restaurant concepts with OTG including Minneapolis and New York City, it just hit me like a ton of bricks that instead of a booth at the Fair, we needed to have something more flexible and mobile. 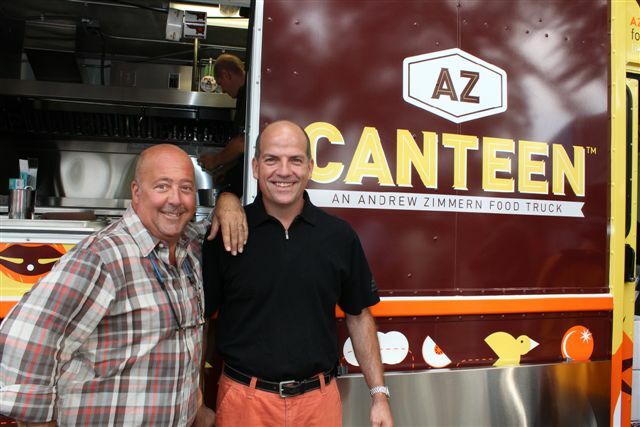 A food truck was a natural,” says Zimmern. Chameleon Concessions helps restaurant owners, food service entrepreneurs and celebrity chefs serve up fabulous food truck cuisine. Years of experience have prepared Chameleon Concessions owner Mark Palm to capitalize on the Twin Cities food truck craze. Chameleon Concessions helps restaurant owners, food service entrepreneurs and celebrity chefs serve up fabulous food truck cuisine. The opportunity to work with Zimmern has opened doors for Chameleon Concessions. Palm says more celebrity chefs are now coming to him with food truck projects.